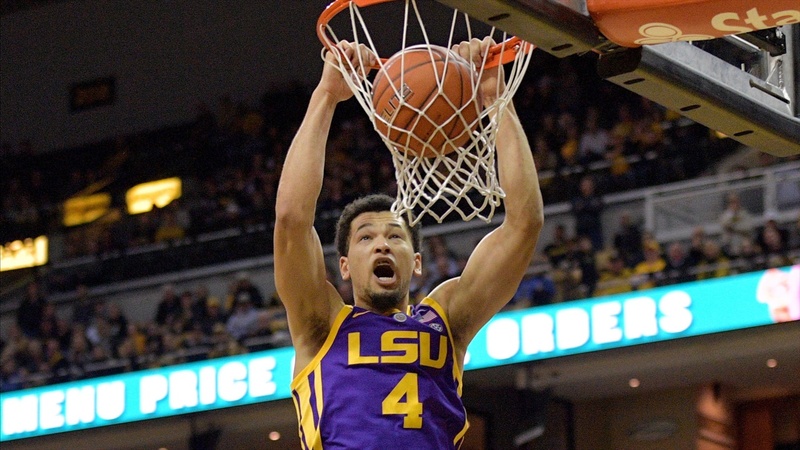 LSU junior guard Skylar Mays has announced that he will be entering the NBA draft. Mays was a second-team All-SEC selection as part of an LSU team that went 28-6 overall with a 16-2 record in winning the SEC regular season championship and advancing to the Sweet 16 of the NCAA Tournament. He was named to the Google Cloud CoSIDA First-Team Academic All-America team with a 4.01 GPA in pre-med/kinesiology. Mays, from Baton Rouge, had his best of his three years at LSU this year with the Tigers, averaging 13.4 points a game with 3.3 rebounds 2.1 assists and 1.9 steals per game (second in the conference in steals average). He started all 35 games this past season, averaging 33.1 minutes per game. He made 123 career threes and was 275-of-327 (84.1%) including a high of 129-of-150 (86.0%) this year. He is one of 42 LSU players to have scored 1,000 career points and in the Michigan State Sweet 16 game finished his third year with 1,100 points. In his three years he is 15th on the school assist list and 12th in total steals.